Traditionally, audiobooks have been used in the classroom to help students with visual impairments or learning disabilities such as dyslexia. Now, however, experts are realizing the power of audiobooks to help students who struggle with many different issues and aspects of reading. Here are five creative ways you can use audiobooks in the classroom to help these readers. 1. Look for feeling words. Have students first listen to a passage from an audiobook and then list three emotions the passage made them feel. Together, review the same passage in a print edition and look for the words or sentences that helped to evoke those feelings. 2. Write to another reader. Have two students listening to the same audiobook keep a shared journal in which they write or illustrate responses to the passages they’ve just heard. Encourage students to comment on one another’s work! 3. Set up a listening station with a basket of small toys and objects that students can use to act out scenes from the text. Kinesthetic play can help to reinforce children’s comprehension. 4. Give students a listening challenge, such as “How many times does the main character wish she’d done something different?” or “What are the three characteristics of lava?” Have students respond to the challenge using a notebook or paper and clipboard. 5. Compare narrators. First have kids listen to you or another student read a passage aloud and then listen to the audio recording. Invite students to compare the two experiences. What does the reader bring to the text? 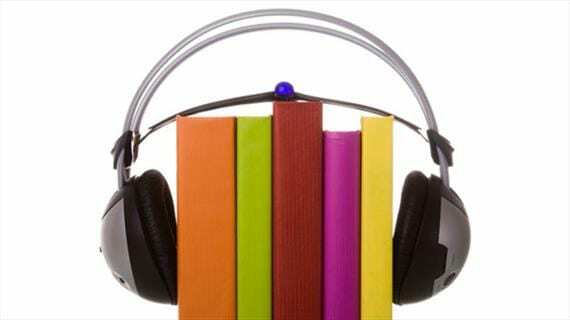 Question for you: Do you use audiobooks in the classroom? Don’t miss your chance to win five student accounts, access to more than 75,000 audiobooks, and five iPod Touch devices. Click here to enter.